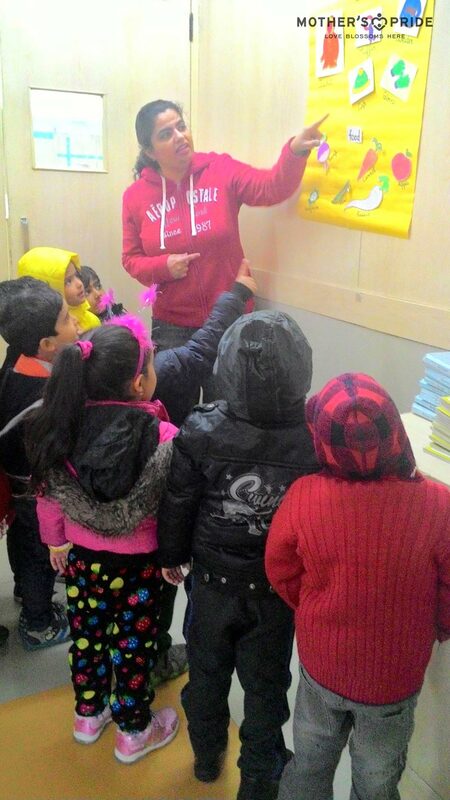 Winter season was introduced in the class. 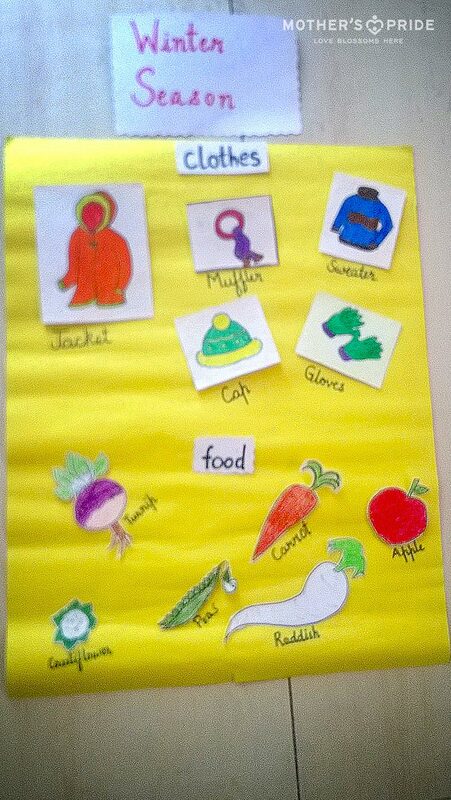 An insight into winter clothing and winter food was given to the children. 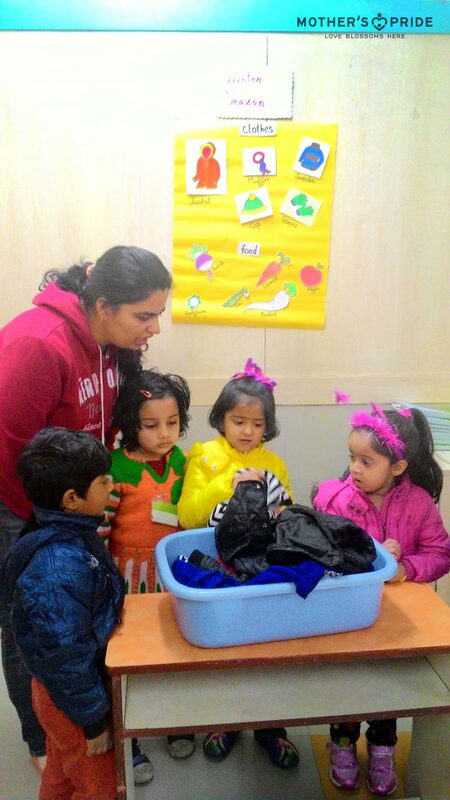 Types of clothes we wear and food we eat during winter season was discussed with kids. An activity ‘Play Dress Up ‘ was conducted in which all students were divided into groups of four. Each group was asked to go through the pile of clothes for all seasons and choose an appropriate winter outfit. 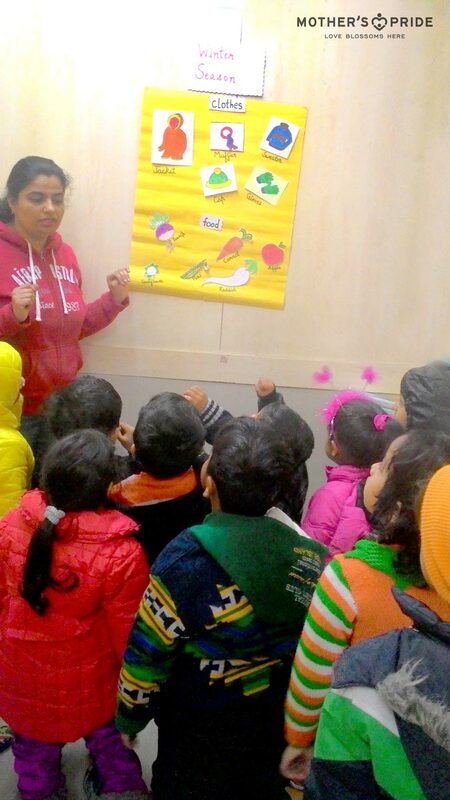 This was a great time to ask them probing questions related to the season , why they chose the clothing they did, etc Kids also had fun learning the seasonal fruits and vegetables during winters.